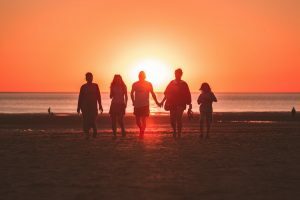 You and your partner have decided to make a life together and form a new, blended family that includes children from one or both of your previous relationships. Congratulations! What lies ahead can be a rewarding as well as a challenging experience. It can take a long time for a blended family to begin to feel comfortable and function well together. While you as parents are likely to approach remarriage and a new blended family with great joy and expectation, your kids or your new spouse’s kids may not be nearly as excited. To give yourself the best chance of success, it’s important to start planning how a blended family will function before the wedding day, Johnson advises. Too many changes at once can unsettle children. Blended families have the highest success rate if the couple waits two years or more after a divorce to remarry, instead of piling one drastic family change on to another. Find ways to experience ‘real life’ together. Taking both sets of kids to a theme park every time you get together is a lot of fun, but it isn’t reflective of everyday life. Try to get the kids used to your partner and his or her children in daily life situations. Make parenting changes before you marry. Agree with your new partner – and your ex-spouse – on how you intend to parent together, and then make any necessary adjustments to your parenting styles before you remarry. Insist on respect. This is not just referring to the kids’ behaviour toward the adults. Respect should be given not just based on age but also on the fact that you are all family members now. You can’t insist that people like each other, but you can insist that they treat one another with respect. Limit your expectations. You may give a lot of time, energy, love and affection to your new partner’s kids that will not be returned immediately. Think of it as making small investments that may one day yield a lot of interest.